Our research has uncovered evidence on the numerous social and community benefits of angling. We have made this available so that it may support funding proposals, policy developments, further academic research or the dissemination of general information on the benefits of angling. 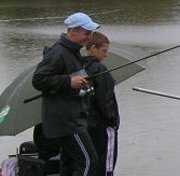 Our research looked at how angling benefits young people, particularly those who are socially excluded. It involved action research with UK angling intervention charity Get Hooked On Fishing, as well as visits to other angling intervention projects, schools, clubs and young people events. Over 200 young people took part in the Young People's Angling Survey and over 50 projects have contributed to the young people's Angling Projects Survey. The data collected is available here in a variety of forms. Charts and graphs, tag clouds, and reports from the Young People's Angling Survey. Charts and graphs or map from the Angling Project's Survey. Project Research Sites: the young people's projects we visited. Tables: angling engagement approaches and the distinction of angling. A Searchable Directory of post 16 angling related courses and a map of college locations. Your Stories Wall: quotes from young people. Views from the Field: selected quotes from teachers, parents, coaches, police and local communities. Our research evidences how angling can have a positive impact on rural communities. It is principally based on case study research on Assynt, an area in Sutherland, North West Scotland. 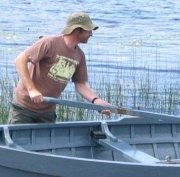 In particular our research has focused on the benefits of collective ownership and angling tourism for sustainable community development. 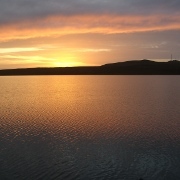 A separate project website was developed for Assynt to provide information about fishing in the Assynt area and generate research data. A Searchable Directory of places to fish in Assynt filterable by boat hire, accessibility and zone. Assynt Comments on particular lochs and General Comments about Assynt from the Assynt Research Website.